This ability to “reprocess” sets novae apart from their rare supernovae counterparts, which occur only several times per century and self-destruct amid an even greater celestial outburst. And yet, it’s the more common novae that could hold the answers to essential questions regarding our universe. Given that these events usually occur thousands of light years away, I went to discuss their significance with two more accessible sources: Laura Chomiuk and Kwan Lok Li of Michigan State University. Both scientists recently allied with Columbia University and the ASAS-SN project (of which Chomiuk is a key member) in hopes of untangling the fundamental processes underlying the lifecycle of stars. They have turned their attention to one classical nova in particular, ASASSN-16ma, located within the “archer” constellation Sagittarius. Their paper, recently published in Nature Astronomy, suggests a novel source for the nova’s post-outburst glow — offering insight into other outer-space explosions. The authors explained that ASASSN-16ma is among the brightest novae ever detected by the Fermi Large Area Telescope — a satellite instrument built to observe cosmic events releasing a high-energy form of light called gamma rays. 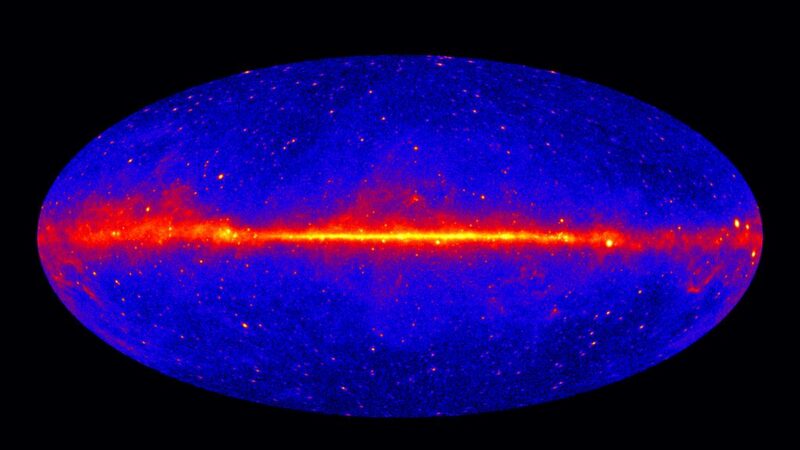 The Fermi Mission, spearheaded by NASA’s Goddard Space Flight Center, also discovered back in 2010 that novae generate these high-energy rays. 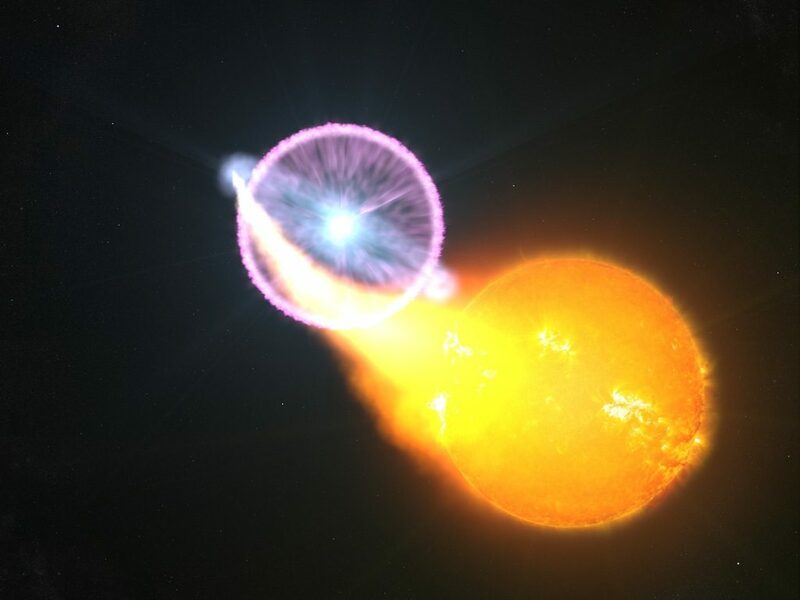 Gamma rays are emitted as material is ejected from the star in two distinct winds or “outflows.” A slow burst is followed by a faster one, which then crashes into the first and creates a shock wave. Visible light also radiates from the same explosion, although until now most scientists believed it stemmed from nuclear reactions on the surface of the star. But something wasn’t right about the traditional explanation. Novae shouldn’t have enough power to produce gamma rays — nor release as much visible light as they do given their calculated luminosity limit. This inherent contradiction confounded astrophysicists and theorists alike, until last year when Chomiuk requested that Fermi focus on ASASSN-16ma for an extended duration to collect more sensitive data. As luck would have it, Fermi was already observing another nova in the same neighborhood, so Goddard’s team was more than happy to oblige, tilting their telescope slightly. When scientists began to sift through the data transmitted from the cosmos to Earth, one specific trend became abundantly clear. “Our results were telling us our previous assumption that all the luminosity comes from the surface of the star was flawed,” Chomiuk explained to me from her office in East Lansing. “A lot of it actually comes from the same place as the gamma rays,” she continued. That is, the colliding shock waves. But I soon learned these ideas weren’t entirely unprecedented. During every interview I conducted, one name kept coming up: collaborator and lead theorist, Brian Metzger of Columbia University. Metzger had been crunching the numbers on novae for several years, but lacked substantive data to bolster his hypotheses. That is, until now. Fermi’s Deputy Project Scientist, Elizabeth Hays, said Metzger’s paradigm had already garnered some buzz throughout the scientific community, although at the time the universe had yet to reveal an event that clearly reflected his calculations. Now, thanks to ASASSN-16ma, she affirmed his conjectures may expose what powers these nova outbursts — processes which might also extend to other kinds of stellar explosions, like dazzling supernovae as well as star mergers. Understanding novae shock and gamma ray production could also explain certain properties of accelerating particles traveling close to the speed of light, as well as the subsequent magnetic fields. When I asked Li what was next, he said he plans to continue using Fermi data to monitor nearby novae. Ultimately, he hopes to pinpoint similarly strong correlations between gamma ray and visible light emissions within additional novae. “We’re always looking for new sources to test our model, and ensure it truly and accurately describes gamma-ray phenomena in classical novae,” he added.